The students gather in the dark classroom, gazing to the magical Sorting Sock as their peers receive their new house assignment. 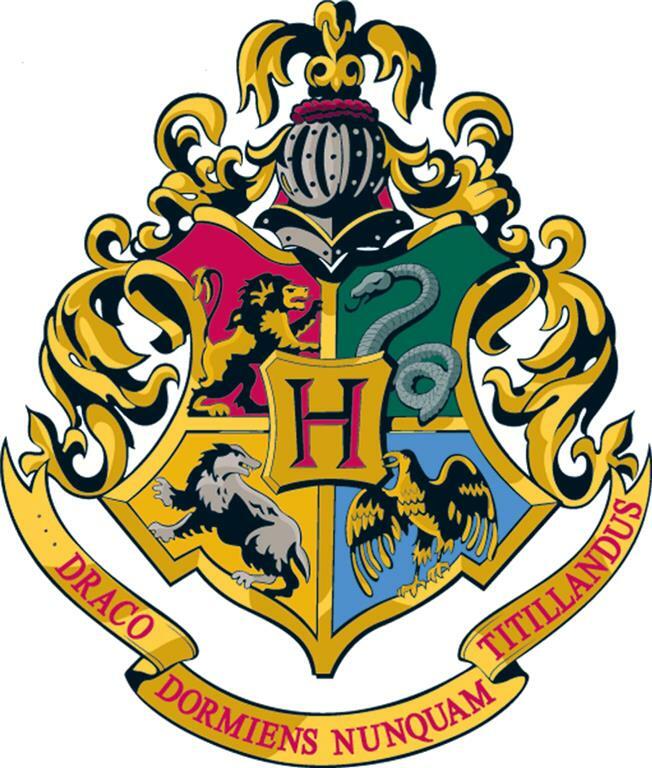 The students who have already been sorted into one of the four houses—Victorham, Edgheath, Jamiston, and Hemingworth—watch and roar with excitement as the students were meeting their new teams. Minerva McGonagall was shook. The Houses are a creation by AP Literature teacher Ryan Bailey. They are a combination of characters or authors that the students will be reading and studying in his class this year. The students were sorted based on their results from a Meyer-Briggs personality test that they took in class. There were four possible results from the test; Analysts (Victorham), Diplomat (Josimston), Explorer (Hemingworth), and Sentinel (Edgheath). 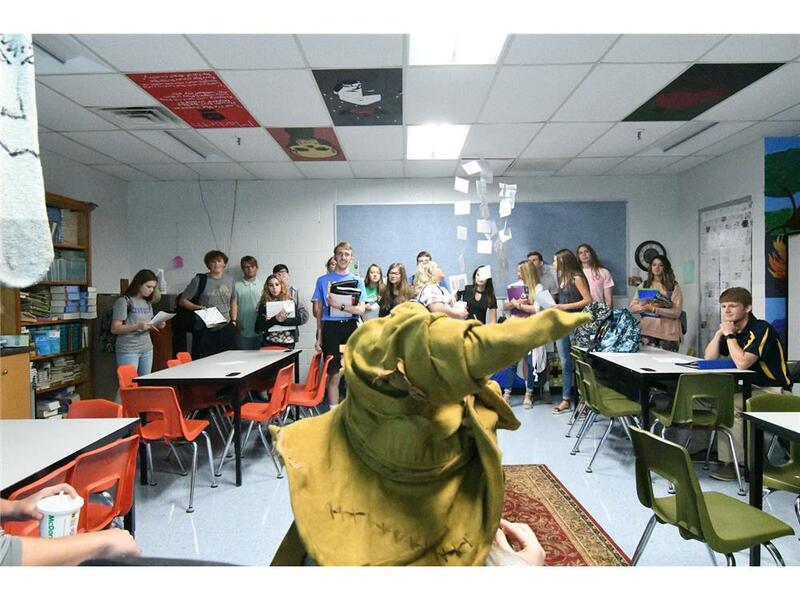 Immersing one’s self in literature got a whole new meaning when Bailey transformed his classroom into a Harry Potter-themed hideaway. Students entered through a brick wall in Platform 9¾ and were immediately immersed into the world of Tolkiston School of Literature and Story. 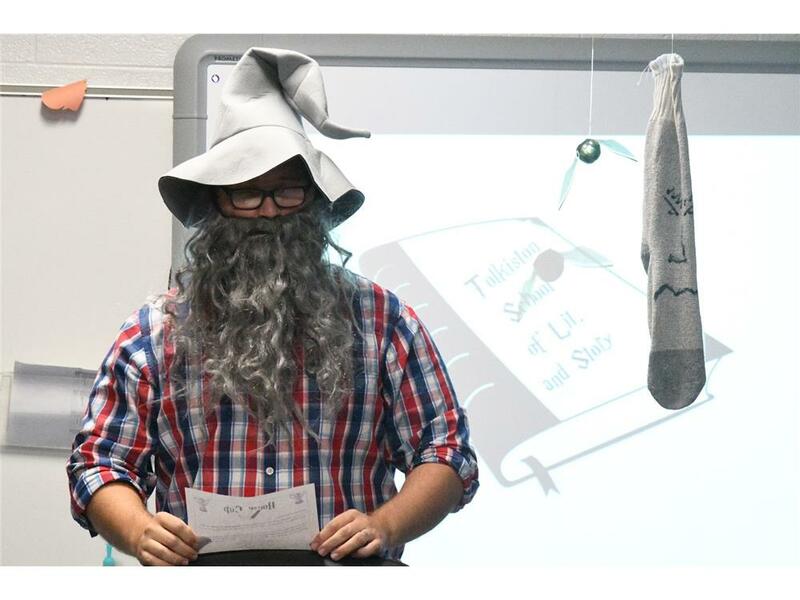 Jalin Clinard, a student from Mr. Bailey’s third period Senior English class, said, “I didn’t know much about Harry Potter, but I sure can learn!” Mr. Bailey is striving to incite a love for literature within the students. If not a love, then at least better understanding. As Bailey introduces narrative concepts and principles, he often references Harry Potter as an example to help them better comprehend how stories work. The 2019 graduating class is definitely bringing the heat this year. 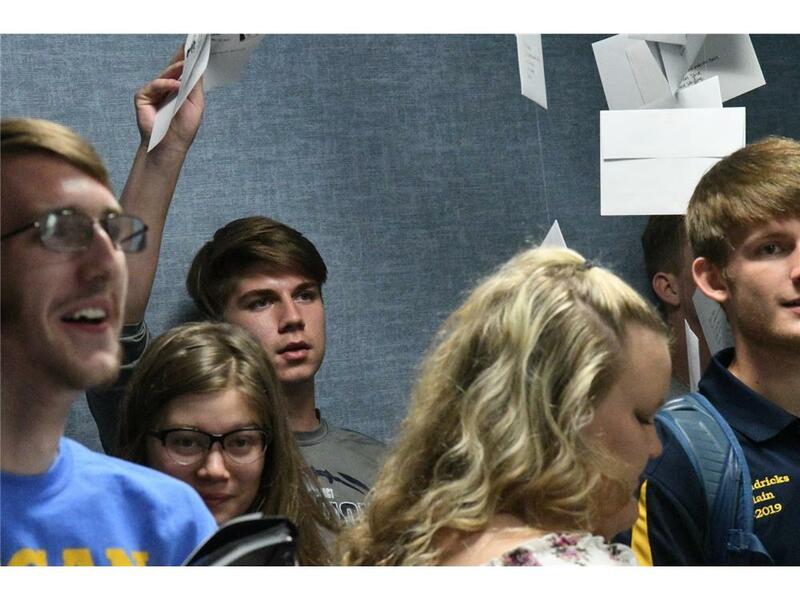 Students were asked what they looked forward to the most about the House Cup, to which Tanner Morrow, a student from Bailey’s first period AP course, responded, “Winning it.” The students are definitely competitive, which will hopefully encourage them to really delve into their studies. This is not the first time that Bailey has attempted the House Cup competition with his classes. Past students Chris Reeves and Gage Cousineau have commented on the effectiveness of the class competition. Clearly, the experience leaves a positive imprint on the students and helps them feel as though their inclusion in class activities is as important as what they are learning.